Think about the instructions that you are given by the steward before an airplane takes off: “In the unlikely event of a lack of oxygen…be sure you put your mask on before trying to help a child or another person.” This is great advice to leaders who want to build Habits of Mind (HOM) in the school environment—make certain that you are working on building the habits personally before you try to persuade others to do so. Habits of Mind are dispositions that efficacious leaders draw upon when confronted with problems, enigmas, or conflicts, the resolution of which is not immediately apparent. Such dispositions are persisting, thinking flexibly, posing questions, managing impulsivity, listening to others—to name a few. And when we say “leaders” we consider every teacher a leader and every leader a teacher. So, what are some ways to ensure that you are not only bringing the habits to your schools but are also working to sustain these practices over time? Remember: Habits are built through consistent practice! 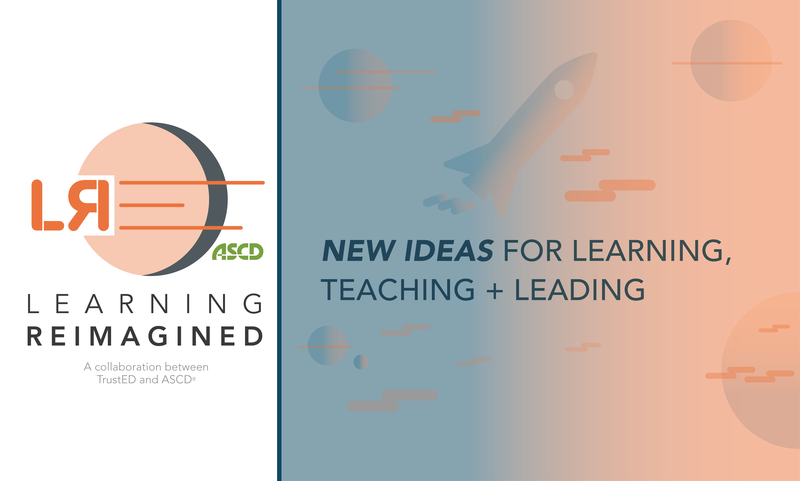 Here are some tips that will help you join the journey of cultivating a thoughtful learning environment where everyone is working on building and using these dispositions. Leaders have a broad overview of a developmental curriculum that cultivates growth in the HOM from early childhood through to graduation and encourages college and career readiness. For example, the habit of listening with understanding and empathy will have a different application at each grade level. Where younger children may be learning to listen in a sharing circle, when they are older the habit might be emphasized in a Skype call with students from another culture. What the habit looks like and sounds like as well as the strategies used to build the habit may change over time, but the significance of the meaning of the habit will not. Leaders ensure that adequate resources are provided for teachers to use with students. One of the most powerful ways for the pre-K through second grade students to learn about the habits is through animations. We know that children not only love to watch animations, but that when an animation is instructional, children tend to model what the characters are doing. Wondergrove Media partnered with ASCD to offer such animations—one for each habit. As the students move on to the upper grades, they may find connections with stories in books or on the internet. Leaders collect and share data about students’ internalization of the HOM over time. They note when students include use of the HOM vocabulary, express the values of using the HOM in their school work and lives, become more aware of situations in which the HOM would serve them, and set goals and make commitments to continually improve in their own performance of the HOM. You can find many examples of assessments on the HOM Institute website. Through newsletters, broadcasts, blogs, parent meetings, assemblies, etc., leaders continuously inform parents about their students’ progress with HOM as well as the school’s commitment to the HOM. They enlist parents as partners in gathering evidence of their child’s use of the habits at home and invite parents to model them in their own behaviors. The Habits of Mind are not only taught to the students, they are also lived by the staff and the school community members. They think interdependently when there is a problem to solve. They listen to each other with understanding and empathy when there are differences of opinion or perspectives. They are passionate about their work and marvel at children’s competencies and performances. They are committed to the belief that these habits are as good for the adults as they are for students, because they want to make thoughtful contributions to the world in school, in career, in college, and in their lives. And above all, leaders model the Habits of Mind in their own actions. Leaders set the tone for the entire culture of their school or district. The HOM are not just kid-stuff. By example and imitation of adults, they are caught not taught. Kenneth Leithwood and his colleagues, authors of Linking Leadership to Student Learning, have shown that leaders’ behaviors have a direct effect on student learning. Leaders, therefore, must walk the talk. Does your school or district have a plan for implementing Habits of Mind? How do you and your staff model skillful decision-making for your students? Tell us in the comments. Arthur L. Costa is emeritus professor of education at California State University, Sacramento, and cofounder of the Institute for Intelligent Behavior in El Dorado Hills, Calif. He has served as a classroom teacher, a curriculum consultant, an assistant superintendent for instruction, and the director of educational programs for the National Aeronautics and Space Administration. Bena Kallick is a private consultant providing services to school districts, state departments of education, professional organizations, and public agencies throughout the United States and internationally. Kallick received her doctorate in educational evaluation from Union Graduate School. Her areas of focus include group dynamics, creative and critical thinking, and alternative assessment strategies in the classroom. Be the first to comment on "6 tips for leading schools with ‘Habits of Mind’ in mind"